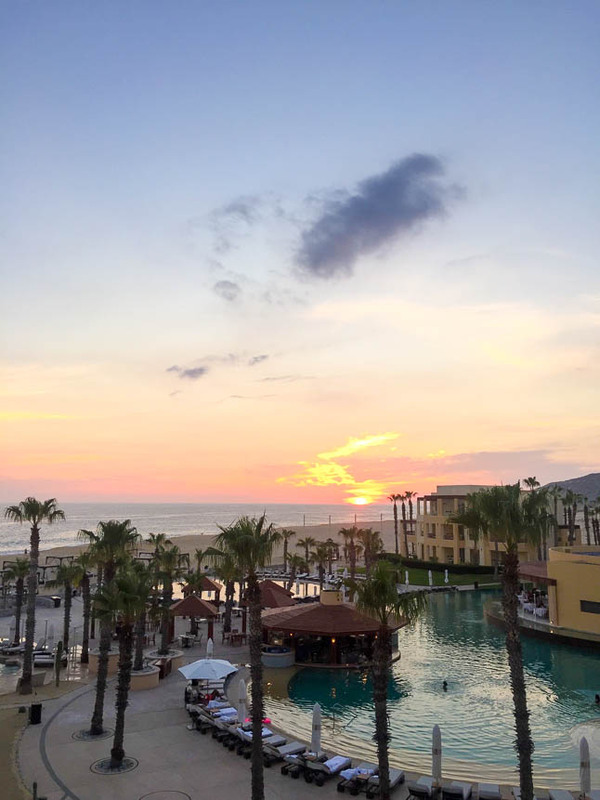 A couple of weeks ago, we had the pleasure of staying at the Pueblo Bonito Pacifica Golf & Spa Resort. 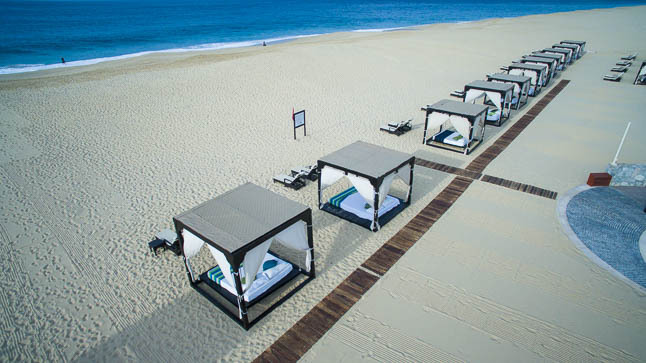 The resort itself is located on a secluded, 2.5 mile beach in Cabo San Lucas. 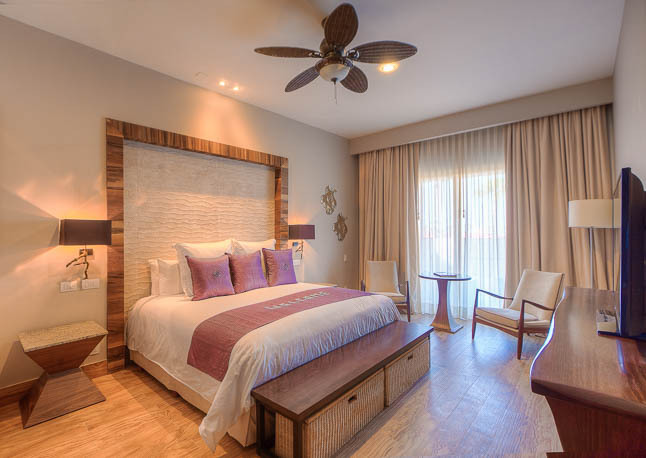 This resort in all-inclusive is catered to adults only, meaning that you won’t find screaming kids around you, especially if you’re looking for relaxing getaway! 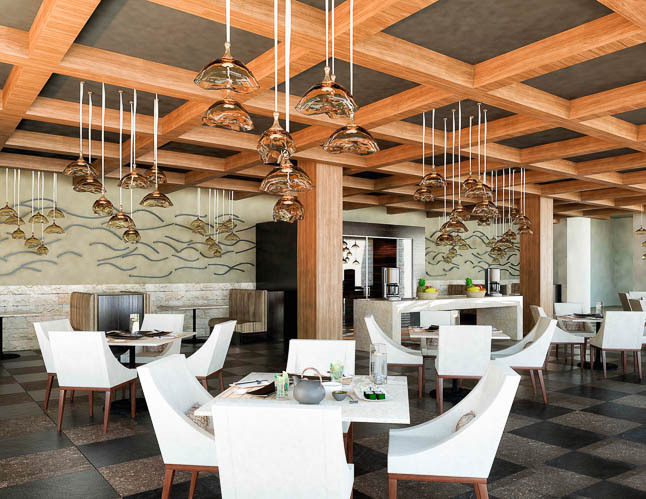 They have four gourmet restaurants on the property, as well as an incredible spa. 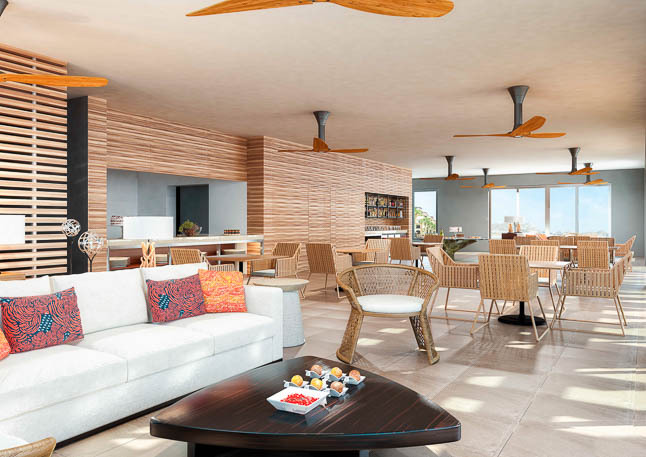 In December, they will be debuting a brand-new, ultra-luxe “resort-within-a-resort” expansion called The Towers at Pacifica. 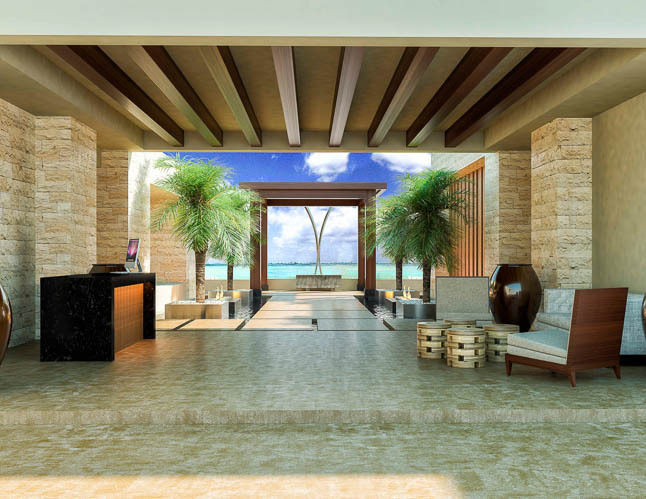 It will offer upscale accommodations, a 24-hour butler service, elevated dining experiences, and exclusive access to a new VIP Towers Lounge. We had the opportunity to stay in the new tower before it was completely finished, and the rooms were incredible! 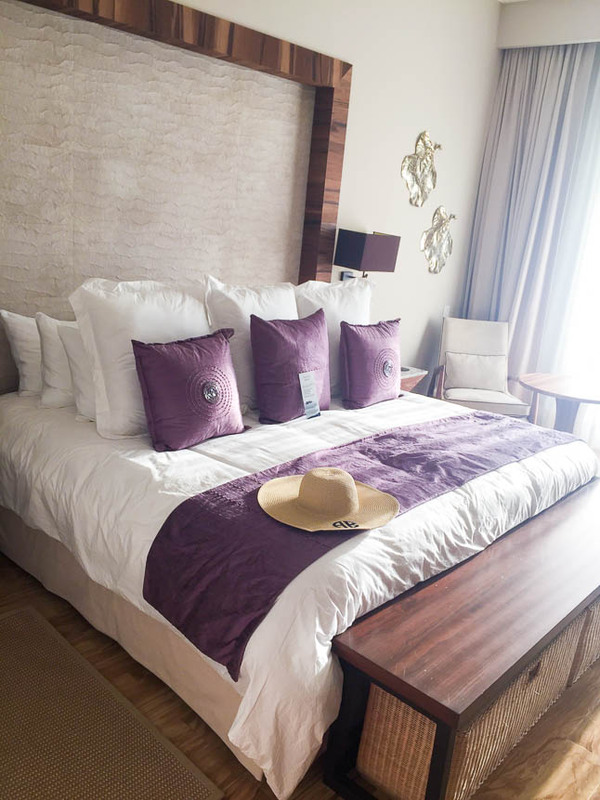 The room featured a gorgeous bed and headboard, which was super modern and elegant. It had a ton of lighting (which we have not seen often), USB ports to charge your electronic devices, a gorgeous patio, and motion-detected lighting in parts of the room! 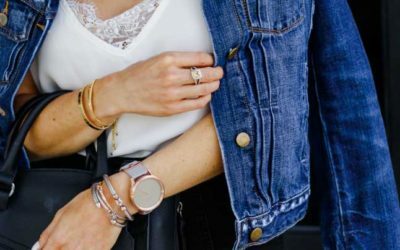 We never wanted to leave our room, and felt totally at-home! They also had a great full-length mirror, which you all know we are all about;) They have a great gym filled with cardio equipment, free weights, as well as machines. We were able to get in a great workout each day! They also offer a ton of workout classes that are complimentary! They have several pools on the property, and we had a chance to spend some time at each of them. One of them is an infinity pool that overlooks the gorgeous beach and plays calmer, more acoustic music throughout the day. The other pool we sat at was also really nice, and played a playlist of all of the top hits, which we loved! I didn’t even have to play my music because it was exactly what I would listen to on my own! The chairs are super comfy and have a great seat cushion on them, so you are totally relaxed. You can also order food and drinks poolside, which of course, we gladly partook in! We don’t usually drink, but we ordered this drink which was vodka, sparkling water, and fresh mint blended together with ice that was SO refreshing. I literally gulped it down both times I had it, haha, and that is totally unlike me! The waiters at the pool were super friendly and accommodating, which always makes a huge difference. Now, about the food, aka the most important part! 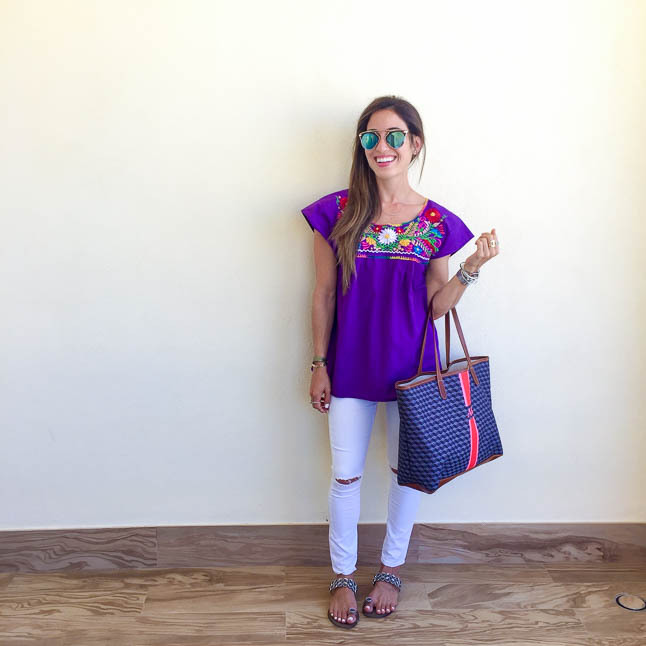 I will admit, I was a little nervous about the food, considering we were at an all-inclusive resort, and how particular I am about how my food is prepared. 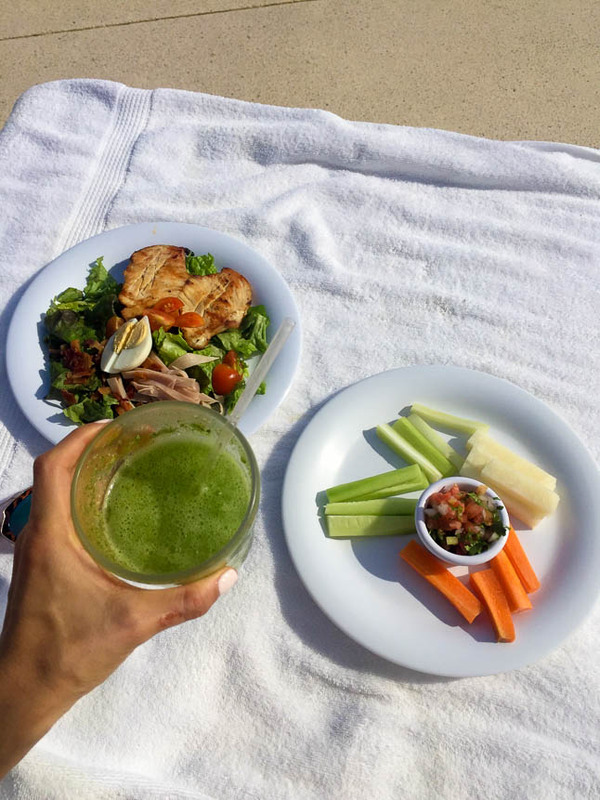 I was super surprised at how easy and accommodating it was to eat healthy and the way I normally do while we stayed there! 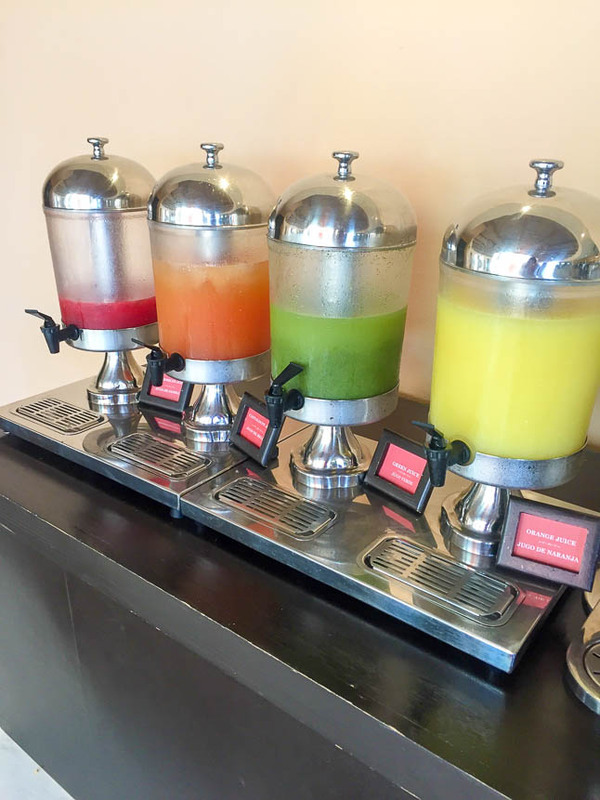 For breakfast, at Siempre, they had a ton of options at the buffet like fresh fruit, amazing pastries and breads, oatmeal, hot food items like eggs, refried beans, roasted potatoes, and other Mexican specialties like enchiladas and tostadas. They also had an omelette station, where you could get eggs prepared however you like them. We both ordered our usual egg white omelettes with vegetables, and the sweet lady making them everyday remembered our order every morning! She was adorable, and so accommodating! They also offered a variety of salsas to top your eggs with (LOVE!). 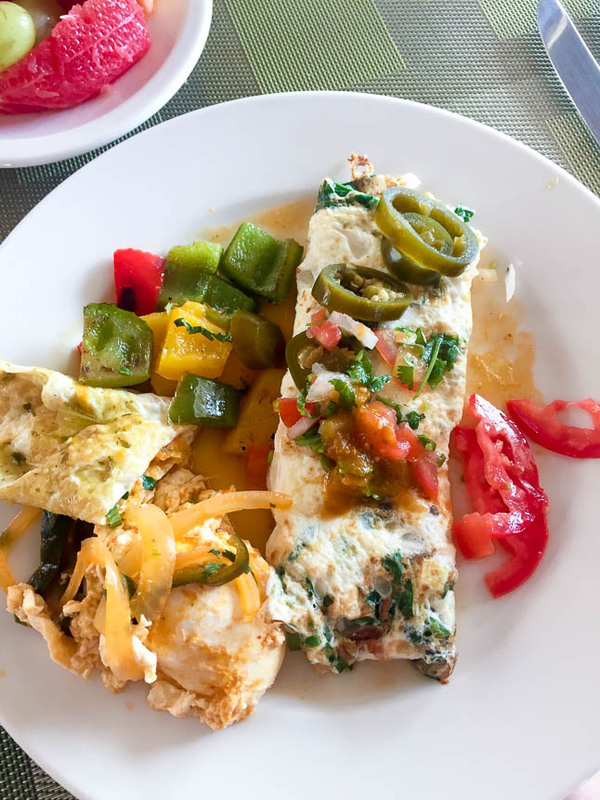 My favorite part of the breakfast was that they had egg whites with salsa and veggies in the actual buffet! I had never seen that before, but I absolutely loved it! For lunch and dinner, they have several restaurants to eat at such as Siempre, Pescados (sushi), and Aire. 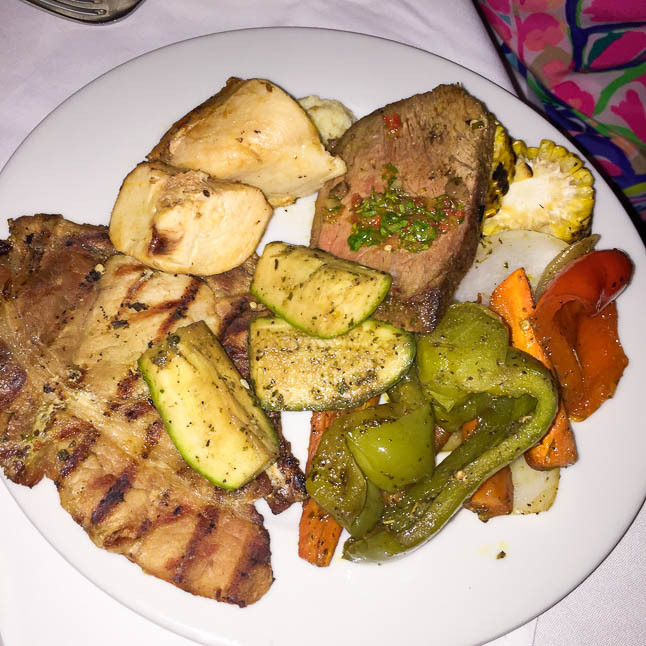 We usually ordered a salad and grilled chicken with some veggies of some sort, and they were all super accommodating and willing to make our order the way we wanted it. They also offer 24-hour room service, and normally, I don’t typically order that because it is super expensive, and there aren’t many good options, but at this hotel, we definitely took full advantage of it! We ordered the chicken fajitas with fresh guacamole and grilled chicken with vegetables, and again they were super helpful and made all the changes we had asked for to our orders. 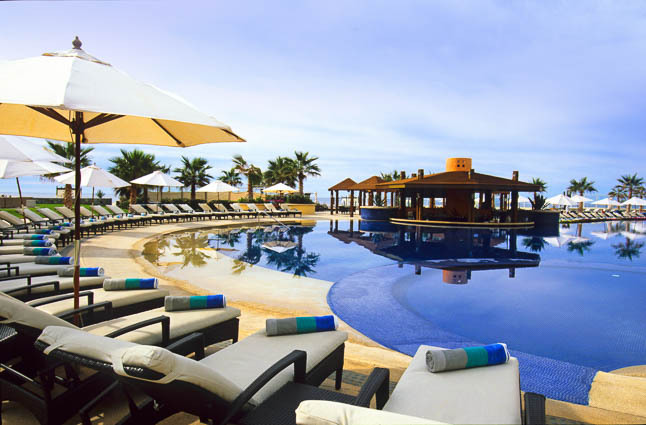 Since there are several other sister resorts nearby, they offer complimentary shuttles to the other resorts, Pueblo Bonito Sunset Beach, Pueblo Bonito Rose, and Pueblo Bonito Los Cabos. 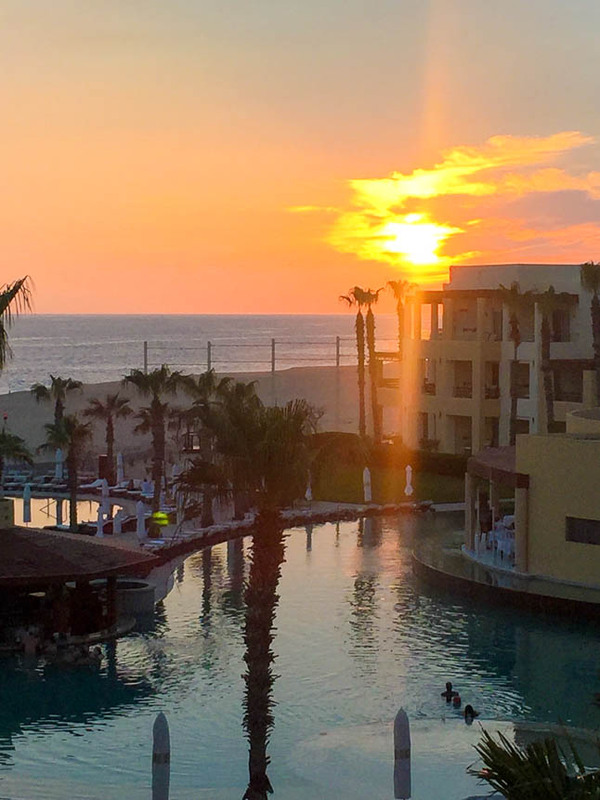 We actually visited Pueblo Bonito Sunset Beach several times, and loved the resort as well. 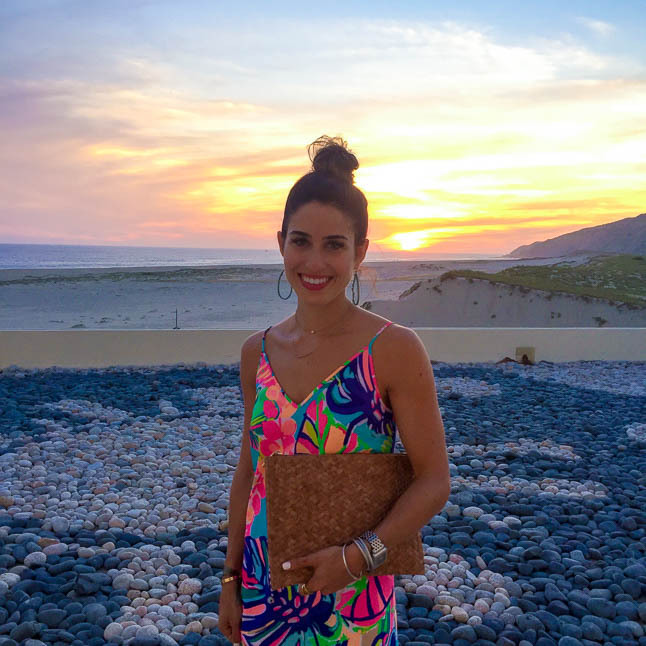 We ate at some of their restaurants for lunch, and actually ate dinner at one of their restaurants, La Nao twice during our time in Cabo. 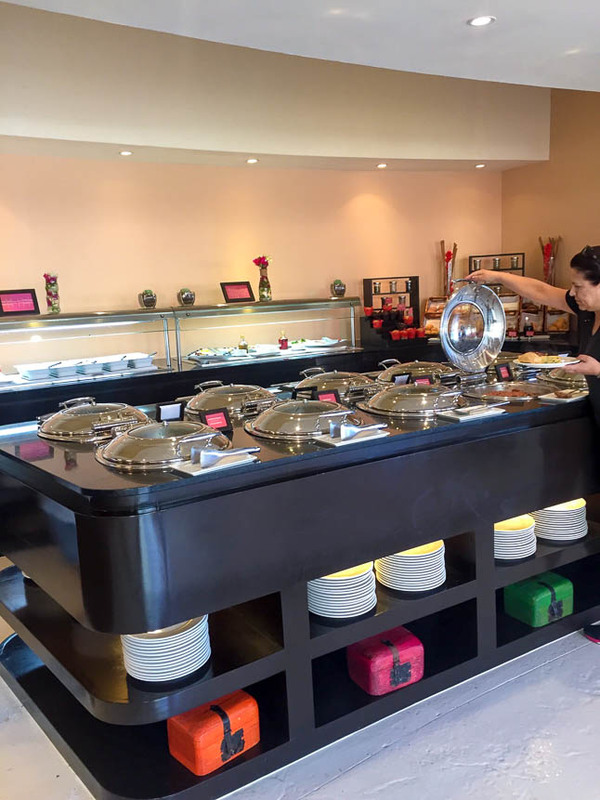 They offer theme nights for dinner, which are a buffet of TONS of food options, including a salad bar and incredible dessert bar, depending on the theme that night. We ate there for “Argentine Night” and “Seafood Night”. Both were absolutely incredible and we definitely left SUPER full both times. Those were probably in my top 5 best meals I have had! 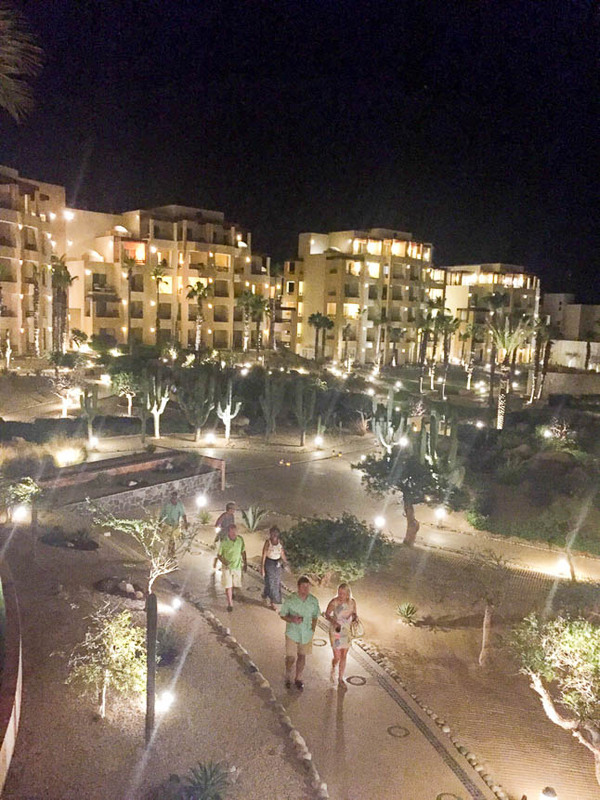 Our hotel itself is very walkable, and we heard from other guests it was their favorite all-inclusive resort out of all of the ones they have stayed in, so that is saying a lot! The resort is about 45 minutes from the airport, but it is a great drive and allows you to see a lot of the city as you drive in! 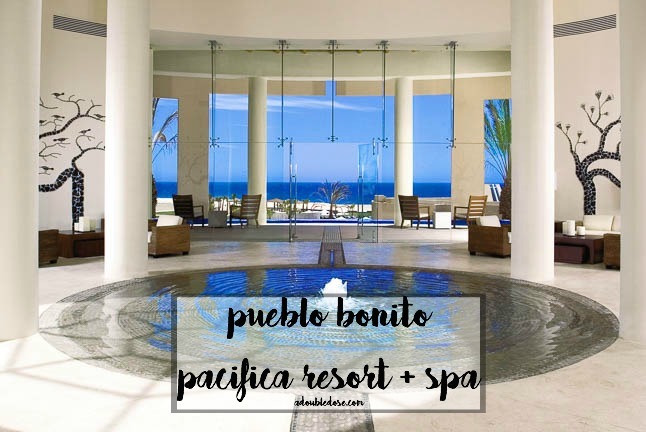 In partnership with Pueblo Bonito Pacifica Resort & Spa. Bookit.com is actually having a massive 99 hour sale on this property right now $800 for 4 nights, including flights (regularly $2,909). Oh wow! That is a great deal! Thanks for letting us know! This could not have come at a better time! 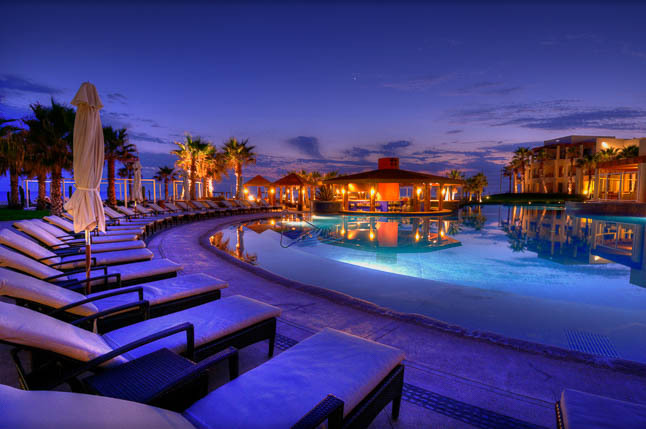 We are currently planning a trip to Cabo is this is actually one of the resorts we are looking at staying! It looks gorgeous! Did you visit any of their other hotels in the area while you were there? Hope you had a great time!